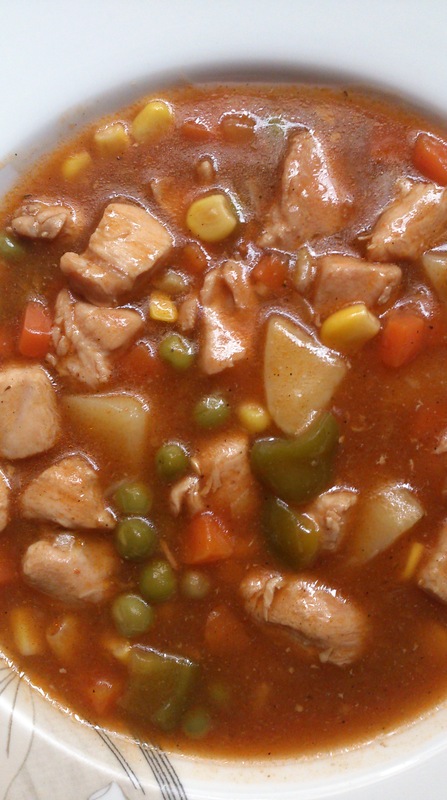 For such style of stew, meat is first coated with seasoned flour and then fried a little to form a coating on the surface. This step can be done using gluten free flour also. In this recipe I have omitted this step and it is still very flavourful. It is quick, easy and fit for crowd feeding. Use fresh, frozen or canned vegetables or a combination of these or add beans ; You are the boss. Heat oil in a large pot and saute chopped onions till very lightly golden. Add garlic, cook for few seconds and add chicken pieces. Cook, stirring at intervals for 2-3 minutes. Add tomato puree, seasonings and thyme. Stir well, add vegetables and stock. Cover the pot and let it cook on medium flame for 7-10 minutes till the vegetables are tender. 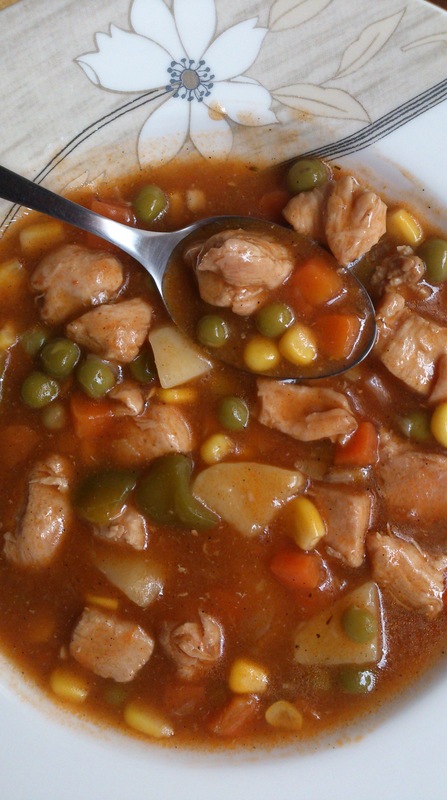 Gradually add corn flour paste to thicken the stew according to desired consistency. Cover the pot again and simmer for 2-3 minutes. Serve hot.